Colorado Rocky Mountain National Park High! A Place to Heal a Bruised Soul! Rocky Mountain National Park stands right there, Equal, as glorious in it's own right as Yellowstone, Glacier, Yosemite, Sequoia or the Grand Canyon. It is easily in the top tier of National Park Service Destinations. Sometimes I think they might should change the name,... to High up and Lonesome National Park! Whenever I'm feelin' low and worn... making a pilgrimage up to 'Rocky' as Coloradoans affectionately call it... is sure to heal what ails me. 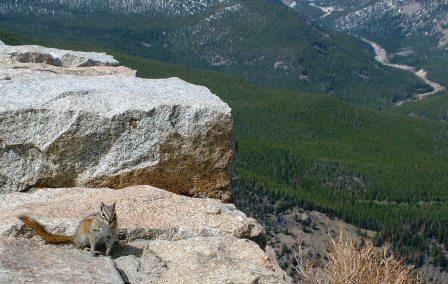 Rocky Mountain National Park, is another of those places, where you cannot possibly see it all in one day. You can not possibly see it all in a week; and you can not possibly see it all, or it's finest, from the seat of a car. You have got to pull off, park, get out... and walk! 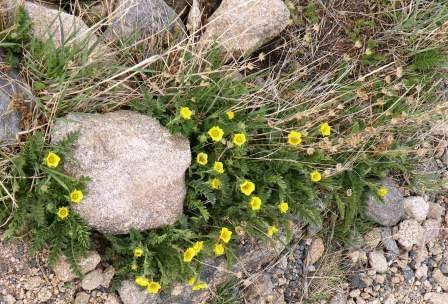 Within the boundaries of Rocky Mountain National Park, just as in those other National Park Crown Jewels, there is something special, something intangible, and something that, if you allow it in... can change your whole world. 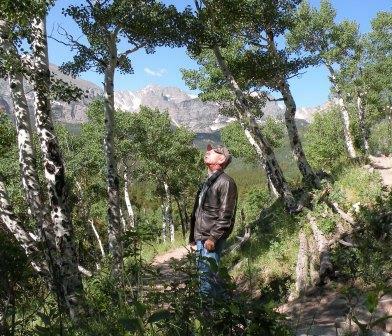 When I go up, and just sit on a rock wall, at one of the view points, or sit on a rock along a trail... just looking... and breathing... the worries and burdens of this world seem to slide away. My perspective is cleared and my spirit is renewed. ... many times... there are things around you in Rocky Mountain National Park, and in other places... right under your feet! 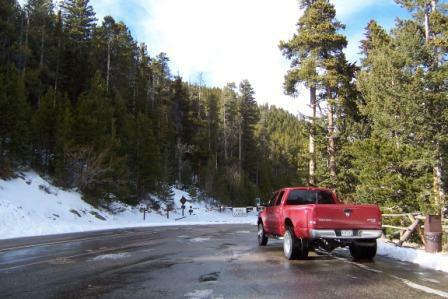 From Motels, B&B's, Lodges, and of course the RV parks, outside the Park... To the campgrounds inside... You'll be surrounded by the finest Rocky Mountain Scenery and should have little difficulty finding the situation you want. 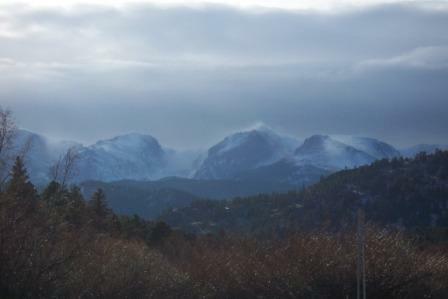 Your choices for accommodations, outside of Rocky Mountain National Park are going to be split between two areas; The East side around Estes Park, or the West side around Grand Lake and Granby. Inside the Park, you'll be choosing between six campgrounds... four of which are open to RV's. 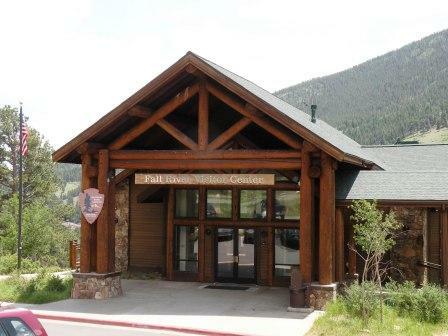 Call (877)444-6777 to make Reservations in Rocky Mountain National Park, up to 6 months in advance. 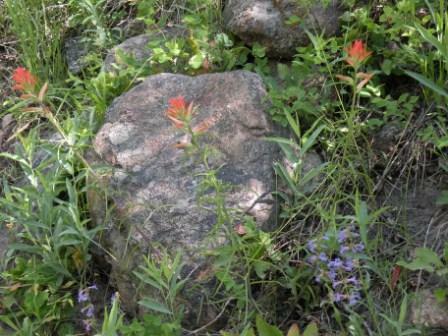 You can also make reservations via the internet at this Federal Recreation Website. I'd advise arriving early to be on hand for vacancies... or calling (970) 586-1206 to inquire about the best time to improvethe likelihood of securing a campsite during the 'busy' season. Getting away from those crowds is a simple thing... get away from the pavement... and you leave the crowds behind. 99% of the 'visitors' to these gorgeous places... never see 99% of THESE GORGEOUS PLACES! 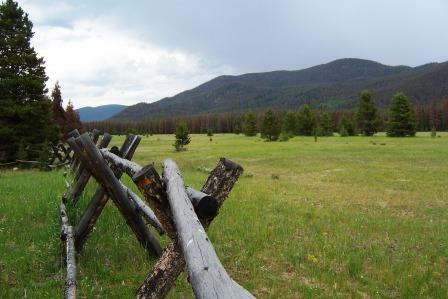 How can you spend all the money and trouble to get to Rocky Mountain National Park... or any other, and then just drive past most of it, without seeing it? It's really pretty sad... true as it is... but they don't get off the seats of their cars... 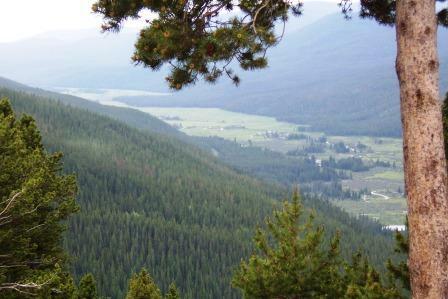 They roll by snappin' pictures and then go home, claiming to have; "Been to Rocky Mountain National Park". From my perspective... they could have gotten about the same benefit, a lot cheaper, by looking at a post card... while holding a pine branch under their nose, in front of a window fan! 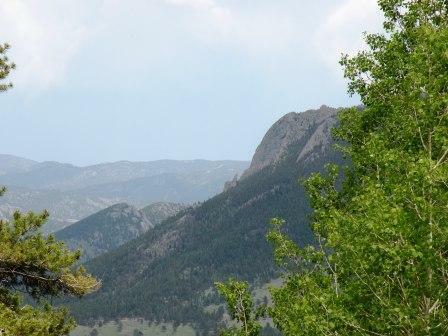 If you really want to see the park... spend a week in a campground... in or around the park... get up early... drive up into Rocky Mountain National Park... and PARK!... get out... shoulder your daypack ... equipped with the proper hiking gear... and take a nice, long, leisurely day hike through some part of the park. Which trail would I take?... who cares?! It doesn't matter! Just pick one. They are all gorgeous. They are all soul healing.and... they are all, almost, uncrowded. 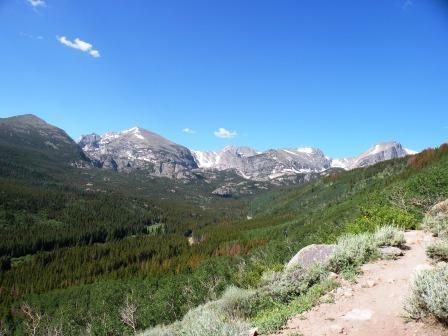 The view points get plugged up... and maybe the first half mile or so of trails... but once you get away from the trailheads... you are into the 'Real' Rocky Mountain National Park! Now... I can't walk too far you say? I say... "Yes you can!" You can sit can't you? So go a ways... then sit down on a rock and rest a mite... then walk a little more. It ain't a race. Your purpose should be to see... and feel... and breathe easy... not rack up miles. Well... in 1981 ... I got "Stove up and crippled". Broke my back... I've been teetering around on a dislocated spine ever since... I'll be danged if I'll let that stop me from LIVING! So... get out there and Live! 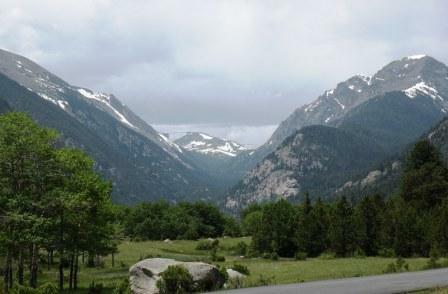 and Rocky Mountain National Park is one of the best places I can think of to do that LIVING! Features a free orientation film, bookstore, a large 3-d park map and backcountry permits. Features life-size wildlife displays, a bookstore, a disovery room for the kids to actually touch and handle objects for a deeper experience. Features fabulous Alpine views from outside as well as inside from the windows... if the 'weather' is a mite rough! Gift shop and snack bar... call (970) 586-1206 for road conditions. You'll find interactive exhibits here on past and present conditions, with a historic building, bookstore and a nature trail w/brochure. This is an excellent Wildlife Viewing area in Horseshoe Park. both off the road... ... and right beside it! 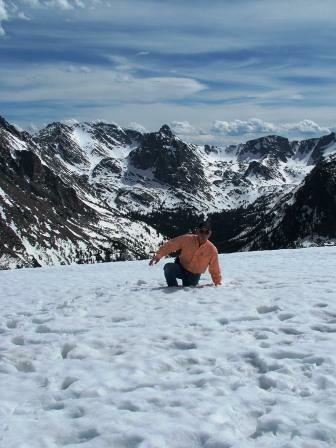 Some might think that Rocky Mountain National Park closes up for the winter... much like Yellowstone... which of course isn't actually true... for either park! 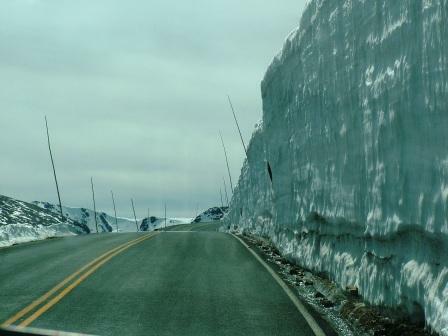 Some of the roads, Trail Ridge Road, topping out at 12,183 feet and Old Fall River Road; Trail Ridge Road's predecessor, which meets up with Trail Ridge at the Alpine Visitor Center, are closed in the winter. 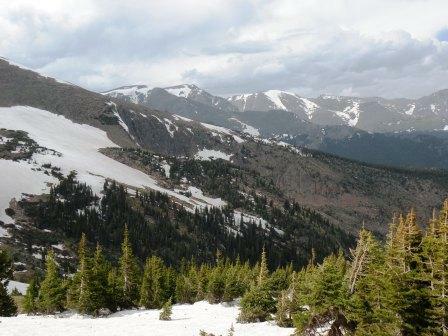 Trail Ridge, between Many Parks Curve and the Colorado River Trailhead... and Fall River Road, top to bottom. 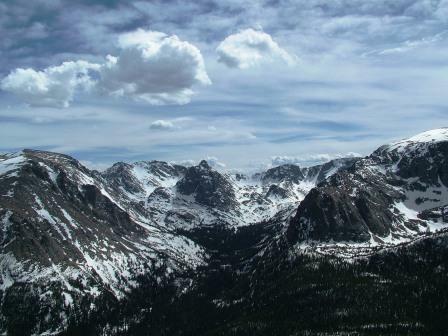 ... the rest of Rocky Mountain National Park remains open. 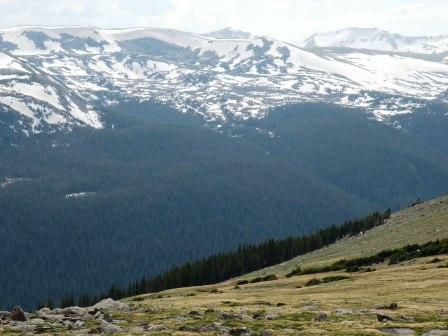 When you do cross over on Trail Ridge Road... you just enjoyed the Highest Continuous Paved Highway in America! One of the most popular times of year, especially for folks fortunate enough to live in some proximity to the park, is in the fall, when the Elk are Bugling. It is an absolutely, soul filling thing to stand in a soft snowfall... listening to the haunting Bugle of a Bull Elk proclaiming to the world: "I - AM - THE - BULL - OF - THE - WOODS!" ... to be answered by another fella a mile or so away... "BULL! I-AM-THE-BIGGEST-AND-BADDEST!" 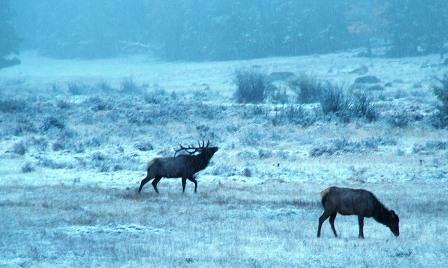 If you've never heard a Bugling Bull Elk... plan yourself a trip... or two! 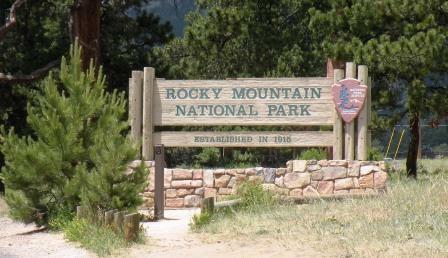 To Rocky Mountain National Park in October! 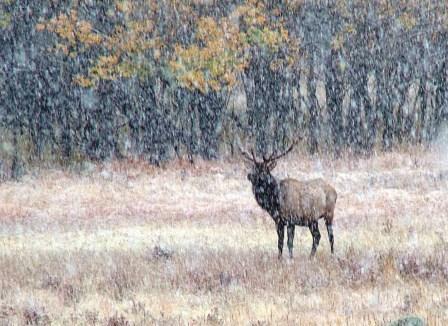 Call 'em to get a tighter idea of the likely 'Best' part of the season to allow you to enjoy the magic of Bugling Elk. Hmmm.... speaking of Elk... Folks... listen up! These are Wild Critters! They are NOT... repeat NOT! Bambi! Every year, somebody gets stomped 'cause they were ignoring the widely distributed warnings to NOT APPROACH WILDLIFE! What happens is usually something like: "I can't see you in the camera... get closer!" or "Put your hand on his shoulder Timmy!" ... the next thing you hear is: "STOMP STOMP STOMP!.... EEEEEEEEEiiiiiiiiiiiiiiiiiyyyyoooooooooooooaaaaahhhhhhhh!" You are one of two things to them... You are either something THEY eat... or something that EATS THEM! 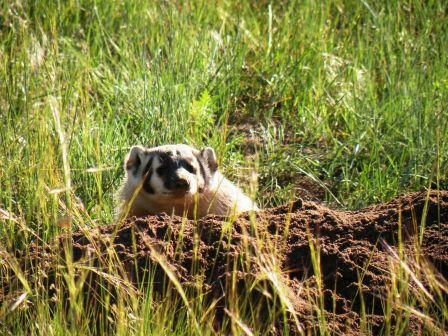 ... and must be defended against... either way... it's hard on your hide... if you get too close! How close is too close? ... one way of telling is... if your approach causes ANY change in the behaviour, action or postureof the animal... you just crossed the line. What this means is... if you're walking up on a Bull Elk... or a Cow or Calf for that matter... as it's grazing in a meadow... you're already makin' a dangerous goof ...but then it's ears start flippin' around... when they weren't before you approached... NOW... you're too close! ... you're a couple of seconds from an up-close-and-personal explanation of the consequences of ignoring the warning: "DO NOT APPROACH WILDLIFE!" If it STOPS GRAZING... but keeps it's head down as you approach... you're too close! If it's ears start flippin' and it's tail starts wringin' like a windmill... especially with Buffalo... you're WAY TO CLOSE! Watch for those tell tale signs and you'll learn to back off! ... Better yet... just don't go any closer than 30 or 40 yards distance to begin with. Adhere to that simple rule and you'll most likely never have the experience of a Tap Dance with a Rocky Mountain National Park Bull Elk... with the Bull leading! Some of them... like this Meadow Wreckin' Demon... won't get hassled by much of anything... a Grizzly won't fool with a Badger! and neither should you! Unless of course, you like leakin' a lot! ...Will nigh on to fearlessly crawl all over you... begging for snacks. They're not too awful dangerous :-) ... but they have been known to nip a bit! Unfortunately, They've been trained by other visitors to the park... who insist on ignoring the rules... and end up creating critters which can have a hard time makin' it through the winter... 'cause some "But he's hungry" do-gooder ignored the rules and damaged his natural ability to forage and find Natural Feed. So... Do the Critter a favor! DON'T FEED THE WILDLIFE! 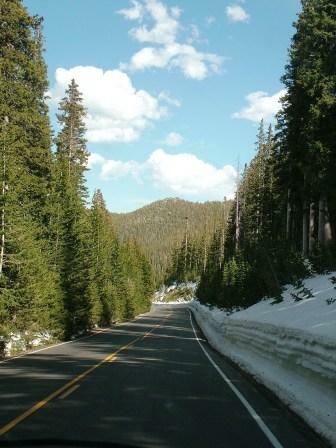 ... Save your potato chips for the ride down the mountain... and let the Wild Life... Remain Wild! As long as we're on the subject of safety... there's something else to mention, especially when it comes to Rocky! That lil' something, is Altitude. 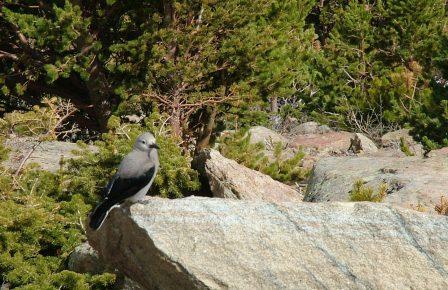 They figure that somewhere around Half of all Rocky Mountain National Park Visitors experience symptoms of Altitude Sickness. These range from headaches and dizziness to nausea and unconsciousness. 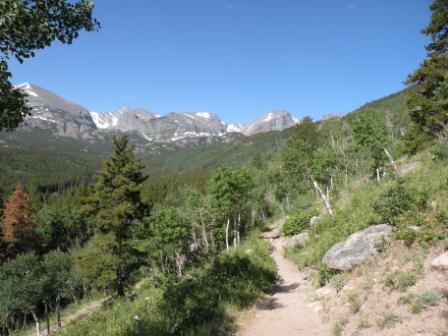 Rocky, among all the National Parks, has the Highest Average Elevation. 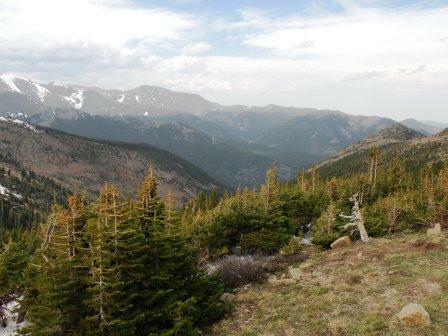 Even I who currently live at 5,000+ feet, take several days to get acclimated to 12,183'! If you're coming from Delaware... you can't just kick that Toyota into gear and go from Sea Level to 12,183', in the space of three days, and expect no ill effect. High Altitude and dry air will dry you out fast. Carry and drink plenty of water... (soda is a diuretic and dehydrates you! )If you don't have to 'use the facilities' every hour or so... as far as I'm concerned... that's a warning you ain't drinkin' enough! Pushing too hard... when you're not acclimated, can trigger increased difficulties. If you have the time... and can... stop first around 7,000 feet or so for a couple days... take it easy... set a new camp a couple thousand higher.... etc. 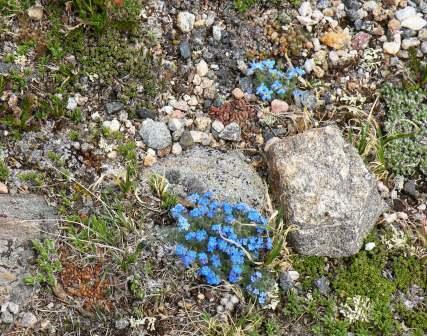 Allow yourself a few days to get Altitude Acclimated, before you get into some strenuous Hiking or other activities. Otherwise, If you do get into Altitude Sickness... there is no medication for it. The cure is simple enough though... you have to simply GO DOWN in elevation. One other thing to pay close attention to, in the High Mountains, is Lightning. The sad fact is, it takes people EVERY YEAR in Colorado! If you're planning a long Hike... Plan it in the morning. Plan to be off the Mountain by mid-afternoon. Stay aware... if you see a big Thunder Banger building... discretion is best here. Stop advancing! Turn around and Get Back Down, well below Timberline, before the storm gets to you. Save completing that Hike to the top for another day... Turn yourself into a Lightning Struck Shish-Ka-Bob ... and you'll likely never get that Hike in! There is nothing up there to quake in fear about... but there are a few things to use some common sense and discretion with! Enjoy the park. Utilize the Campgrounds. Take advantage of the many Ranger Led Programs listed in the Official Park Newspaper you'll receive as you enter. 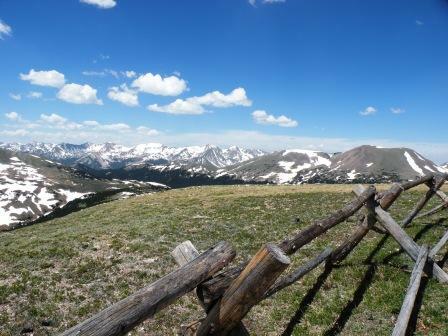 Come here, to Rocky Mountain National Park, and you will create Joyous Memories that you will NEVER FORGET! You will come to understand that the name is just another way of saying... Shining Times!